Well I try to avoid shooting button bucks but this one offered a shot I couldn't refuse. 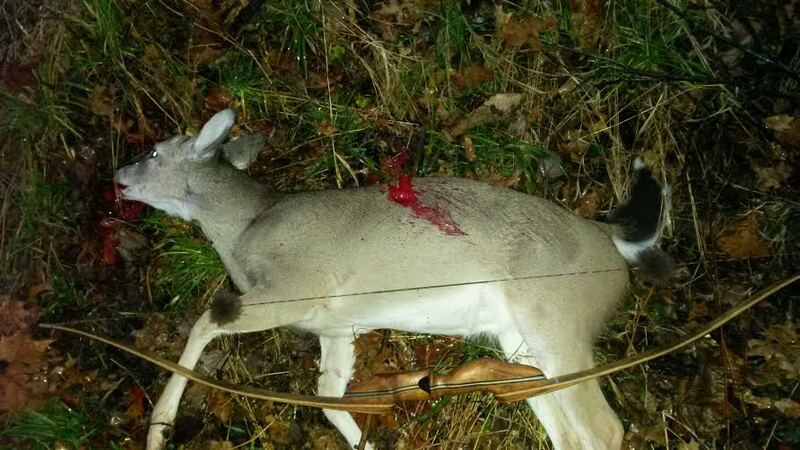 Shot with my Tall Tines Long Bow. Haha! Good eating right there. I enjoyed your write up. Congrats! Fine diners for winter. Great!